Are you trying to get your courses up and running in a hurry? Here are a few resources that might help. You can choose which courses you see when you log on. The courses that show up on your dashboard are your pinned courses. This resource will teach you how to pin (and unpin) courses. Once you have your current courses pinned, choose the image for the front of your course. The image that you choose for the front of your Brightspace course is the first thing students will see before they enter your course. The image you choose can convey information about the course, or just be a decorative image. If you want to choose one of the thousands of images already available in Brightspace, hover your mouse over the course image, and look for the three dots. When you click on those dots, one of the options is Course Image. 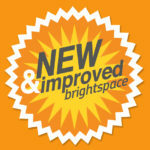 This link will allow you to search for a new course image from Brightspace’s collection. When you click on your course,you will see the navigation bar, or NavBar, near the top of the screen. Click on Content. This is where you will post all the materials your students will read, watch, or listen to and all the activities you have planned. You can also add links, files, and activities like discussion boards and assignments by clicking the blue Upload/Create button in any module. If you click on the tab in the Navbar called “Classlist” you can see all the students, instructors, and TAs enrolled in your course. You can also email your whole Classlist at once using this tool. Once your course is ready for students, you will need to go to Course Offering Information and make the course Active. Here is step-by-step guide to the process. 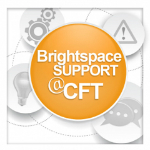 If you are wondering what students need to know about Brightspace, we are here to help. 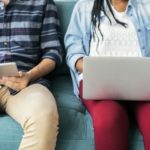 This blog post walks you through the four most important Brightspace features for students, and also provides suggestions for how to talk about Brightspace in an email or on your syllabus. As always, if you have any questions about how to make Brightspace work for you, you can explore our on-demand resources or email us at brightspace@vanderbilt.edu.